Edit your photos like the photography pro you are with these amazing apps. Editing your photos on your iPhone is one thing, but editing your photos on your Mac can take your photography skills to a whole 'nother level. Many of us still keep our main libraries on our Macs because of its faster processors, larger storage, and all-around bigger computing power. The Mac is still the best device for serious photo editing, so you need some serious photo editing apps to make an impact. If you're looking for a photo editing app that goes above and beyond for the pricetag, while still allowing you complete creative control over your images, then it might be worth it to take a peek at Affinity Photo. Affinity Photo supports unlimited layers, groups, layer adjustments, filters, masking, and more: you also have access to tools like dodge, red-eye fix, burn, blemish, clone, and patch (so pretty much Photoshop without all the convoluted bells and whistles). Nondestructive auto-saving makes undoing everything you've done easy, so if you need to start from the beginning, the option is there. Play, manipulate, edit, and get hella creative with Affinity Photo whether you're a serious graphic designer or someone who's just looking to do some basic editing. Your photography will seriously thank you. Searching for a super simple, straight-forward photo editing app that's there to help you edit and not confuse you to the point of ripping out your hair? Then check out Fotor Photo Editor! With this photo editor, you can easily adjust contrast and color of more washed-out photos, add borders, tilt and shift your images, add different text, slap on a few filters, and so much more, all from the easy-to-find toolbox on the right side of the app. You can even create collages of your photography masterpieces! The BBC once called Fotor Photo Editor 'light Photoshop', and they're kind of right! You can go above and beyond editing your images with Fotor Photo Editor without getting bogged down by more complicated editing buttons and tools. When you look into photo editing software, one of the first things that'll pop up is Adobe's Lightroom, and for good reason! It's essentially a staple in the photo editing community. Pretty much anything you want to do with your photo, you can accomplish with Lightroom. You can blend and merge shadows and highlights, sharpen dull, blurry images so they look crisp and clear, add details and tint colors to make a photo stand out, and so, so much more. While it is a bit more on the complicated side, people who use the program and know how to navigate it are hooked. Keep in mind, there are two versions of the app — there's the Classic version, which is more preferred, and the 2018 CC version. If you're hesitant about the program and paying for it, you can download Lightroom free for 30 days as part of a trial period. After that, you can add it to your Photoshop CC subscription for $9.99 per month. Amp up your photo editing skills with a little bit of help from Pixelmator! This particular photo editing app allows you to combine two different photos into one (while still allowing you to edit over each layer), add shapes, gradients, filters, tints, and more, and completely change and edit your photography to make it fit perfectly to your aesthetic. You can even mask and cut off certain areas of the photo, giving you more creative control over your final image. Similar to other photo editing apps, you can also adjust contrast, color, saturation level, definition, and so much more. It's another great alternative to Photoshop, at least according to our managing editor Lory Gil. Love Photoshop (or the idea of Photoshop...) but don't want all the complicated components and nonsense that comes along with it? Then it might be worth it to take a peek at GIMP. Similar to Photoshop, GIMP allows you full control over editing your photos: it's an advanced image manipulation program with detailed customization for color reproduction. You can add layers to your photos, edit and tweak colors, adjust contrast, crop, adjust saturation, and so much more. If you're someone who admires Photoshop but is terrified of the price (or just thinks it's not worth it) then GIMP might be the perfect pal for you. Say 'bye-bye' to nasty photobombs, zits, perky distractions, and so much more in your photos thanks to Snapheal! Snapheal is a little bit unique in the sense that it's more of a "delete now, ask questions later" app. It's more about cleaning up a photo than it is editing it and adding a whole bunch of layers. The tools can either remove large objects or smaller imperfections depending on the mode. You can even adjust the masking tool, use a magic rope, or clone stamp your way to a new photo. 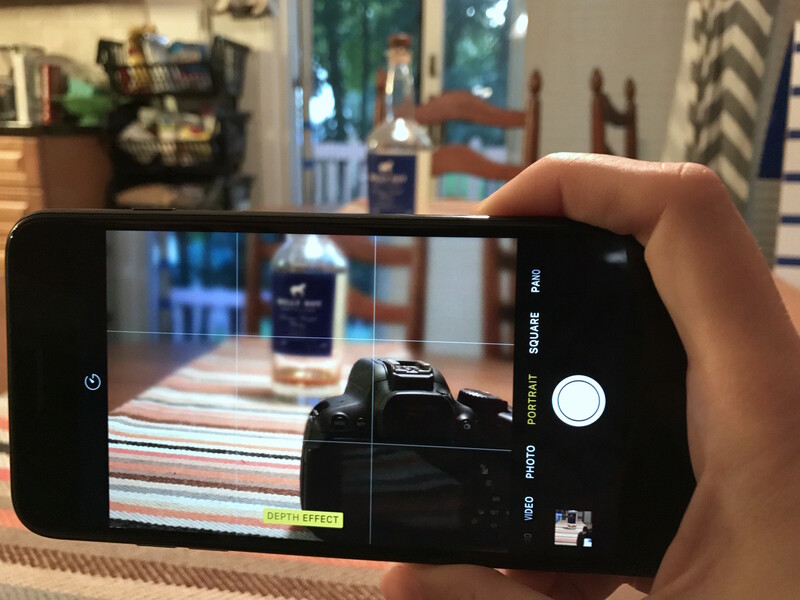 If you're someone who's a perfectionist when it comes to your photography and you just can't stand that one stupid, distracting blur in the background, then Snapheal is the guy for you. I know what you're thinking: "Preview? Really, Cella?" To which I respond: "Uh, yeah. Duh, my dude. You use it every day!" Sure, you can't do a bunch of fancy things with Preview like add filters, adjust contrast, and fix saturation, but you can quickly crop a photo, adjust the color, rotate it, add shapes, texts, and a signature, export as a different format, and more. Yes, Preview isn't perfect, but it is easy to use and fantastic for making small, fast changes to your photography. It's already on your Mac. How do you edit your photography? What is your favorite photo editing app for the Mac? Why does it work the best for you? Let us know what your top picks are in the comments down below! Updated August 2018: All the choices on this list are still the best of the best!